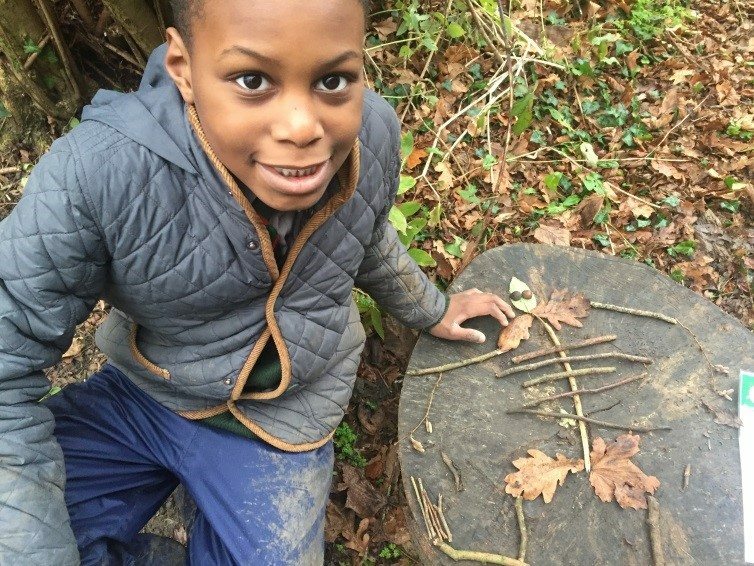 The cold and wet weather has not stopped us going out to Forest School this Spring term. 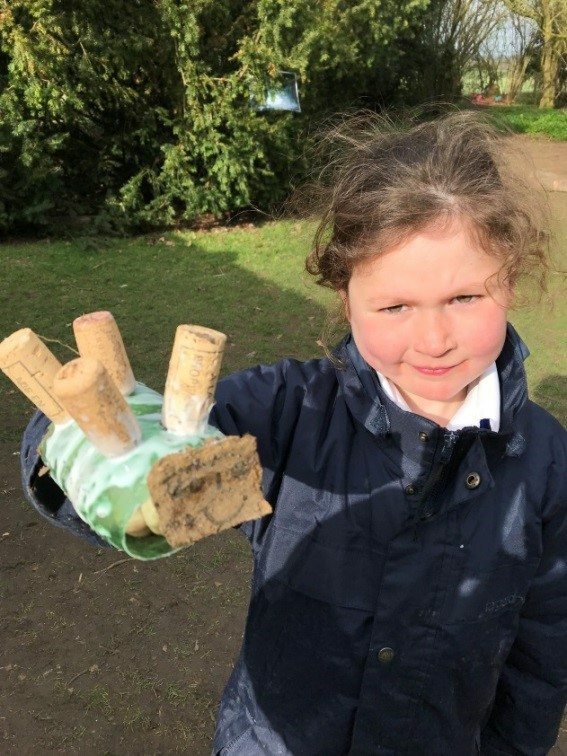 We are continuing to explore our Woodland and discovering new interests. 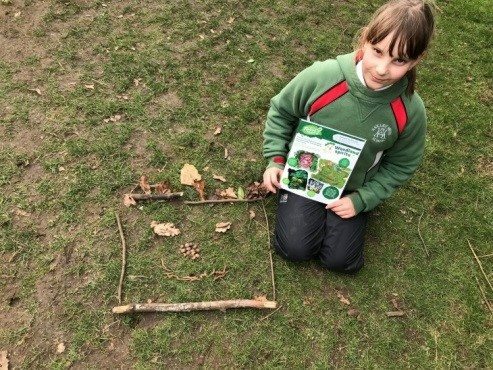 All lessons are totally child led and with the help of activity sheets, children are able to choose activities which interested them. Our storytelling chair was used greatly during National Storytelling Week and all children really enjoyed writing and telling their stories to their peers. The animals have been coping very well with the weatehr and they are enjoying the children’s cuddles. 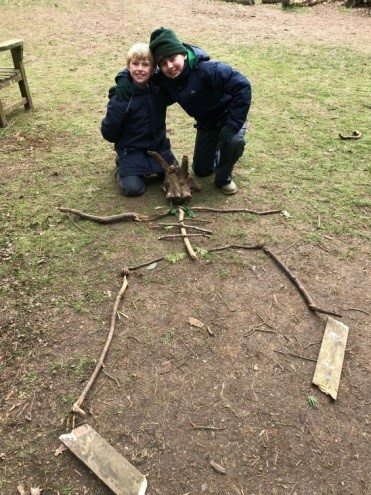 Children enjoyed making giant stick men, skeletons and woodland faces by using materials found in the woodland. We had a brief visit from some gorgeous fairies, who unfortunately vanished again due to the terrible wet and cold weather. We are optimistic that next term they will visit us again.